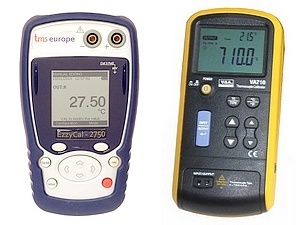 TMS Europe provides a complete temperature calibration solution. Not only do we provide temperature calibration services, both in our UKAS accredited calibration laboratory and on-site, but we also manufacture, sell and hire and range a wide of calibration equipment. We sell a range of hand-held calibration instruments for a variety of calibration purposes, including simulation of sensors signals for calibrating control and recording instrumentation and also measurement of temperature sensors. 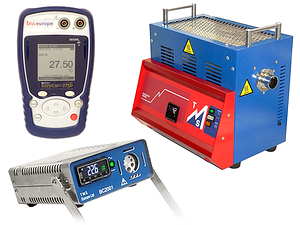 These include Thermocouple Calibrators, RTD Calibrators and mA Loop Calibrators. TMS Europe manufactures its own range of highly accurate Dry Well Block Calibrators for calibrating temperature probes. 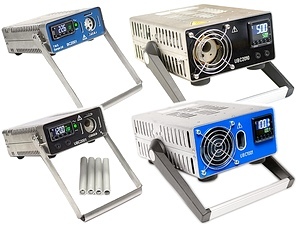 We offer small hand-held and compact portable models with temperature ranges up to 500°C and sub-zero models down to -25°C (or 35 degrees below ambient). Our Block Calibrators accept probes of various sizes, and our UBC models use a range of interchangeable sleeve inserts to best fit your probes. As with most of our calibration equipment, we offer optional UKAS calibration and surveys of our Block Calibrators. 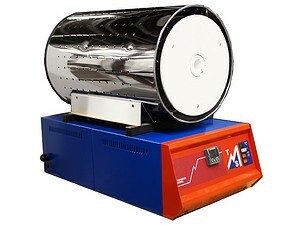 We also manufacture Portable Calibration Tube Furnaces for calibration of thermocouples at up to 1100°C. 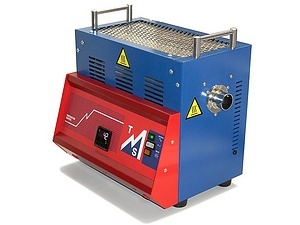 Some of our models are available off the shelf UKAS calibrated, with others it is optional, either at predefined points with a fixed price or at customer specified points.